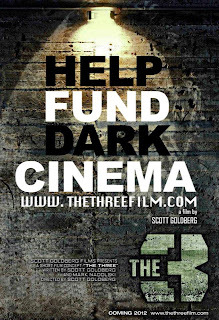 Scott Goldberg Productions want you to help fund dark cinema. From the official press release, "The Three is a story about a group of scientists who are creating a scientific project in memory of their son who had died in the war. The death of their son fuels their desire to create a solution to end all of the wars for good. The story then delves deeper into a dark and disturbing setting where the horrors of the past are showcased throughout the film". I am ridiculously pleased to see filming for The Three take place in the Diefenbunker, as those who know my previous work experience with the Dionne Quints Museum, I love to see this slightly twisted use of our Canadian historical sites. Nothing creepier than twins in a claustrophobic setting, agree? 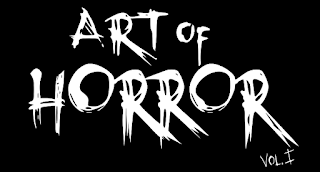 Their mind is certainly in the right place, with the goal to create a new horror without exploiting old methods. What we will get from this team is anything but cookie-cutter scares. If you are interested in funding this project, or offering your skills, check out thethreefilm.com to get a feel for what they are aiming for. We will be following this project in development and look forward to hearing more as the filming dates draw nearer.